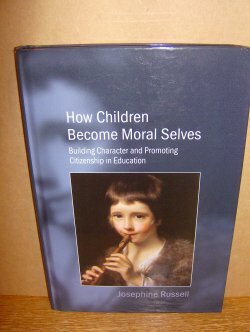 This book examines moral responsiveness and thinking in a mixed gender class of primary school children, and offers a theoretical perspective on children's ability to think together about morality in a community of enquiry and on related issues of pedagogy. It tracks development in children's moral awareness, looking at gains and losses from middle to late childhood, and focuses on cognitive skills, notions of moral rectitude, and interpersonal relationships and friendship. The study demonstrates how, through participation in a community of enquiry such as 'Thinking Time - Philosophy with Children' (children sit in a circle, engaging in dialogue, with the teacher as facilitator), children become more thoughtful and develop respect and responsiveness as well as other traits of character that are central to democratic citizenship. The author analyses children's thinking in response to a wide range of content, on issues of justice, freedom and responsibility, rights and duties, inclusiveness, and friendship. Gender differences are also examined. With the increasing emphasis on education for citizenship in the school curriculum comes an awareness that 'children's voice' and 'agency' need to be respected and promoted. Social Personal and Health Education, Values Education, and Education for Citizenship are becoming more critical in an environment where there is a sense of crisis and concern about the fabric of democratic society. In presenting a new paradigm - research with rather than on children, entering into their life-world which their teacher shares - the author demonstrates the potential of children to reflect in a concerned way on issues that concern them and society as a whole. 239pp.